In part two of MoJo's interview with Don Snow, he talks about living in the age of kakistocracy. Is it the death knell of public lands? When Don Snow launched Northern Lights magazine in 1984, the times then bore an uncanny resemblance to what we are seeing today. James Watt, tapped by President Ronald Reagan to serve as Interior Secretary, had been a champion of ideas promoted by those affiliated with the Sagebrush Rebellion, including transferring control of federal lands over to states, rolling back regulations of industry and weakening environmental laws. The embattled Mr. Watt, reviled by environmentalists yet well liked in his home state of Wyoming, resigned his cabinet post in 1983. 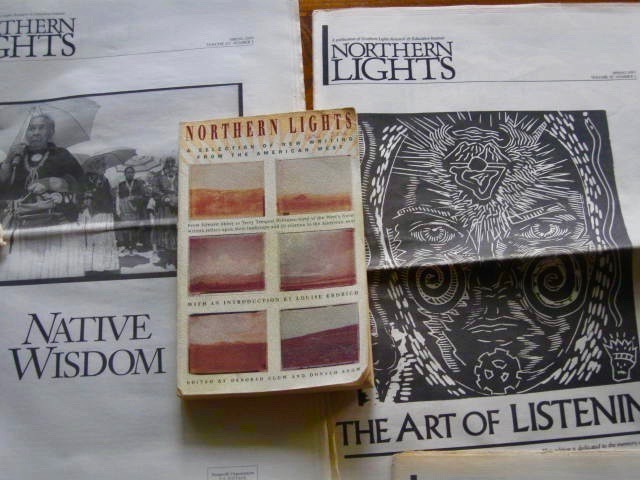 During its existence, Northern Lights featured an extraordinary line-up of writers and artists, laying the groundwork for intense reflection on the difference between “the New West" and old one. In Missoula where Snow ran the Northern Lights Institute, he also taught creative writing and natural resource politics at the University of Montana. Later, he was hired by Whitman College to be a professor of environmental studies and writing, helping to establish the small liberal arts campus in Walla Walla, Washington, as a leader in place-based education. One of Whitman’s extraordinary programs, led by Snow’s good friend and colleague Phil Brick, is “Semester in the West,” offered every other year. It involves students hitting the road and spending 100 days afield, roaming the Western interior, interviewing real people, reading the region’s literature, matching reality against myth. This autumn students from that program—“Westies” as they are called—will be publishing their observations in Mountain Journal. In part two of MoJo's interview with Snow, we asked him to reflect on Northern Lights and how it attempted to inspire deeper reflection about the modern West. MOUNTAIN JOURNAL: One of the sidebar issues being discussed by many thinkers is the erosion of civility in public discourse and the field of civics no longer being taught as a fundamental element of public education. Not only do we have people not understanding how government works but lawmakers and others who have lost reverence for comity. DON SNOW: I don’t think the loss of civility is a sidebar issue. I think it’s the issue. That’s a conclusion I arrived at around 30 years ago when I was directing the Northern Lights Institute in Missoula. We were a tiny think-tank funded mostly by private foundation grants, and we were limited by little more than our imaginations, as to the range of problems and issues we chose to pursue. Most of us – staff and board combined – were veterans of the immense conflicts in the West which grew out of Nixon Administration collusion with the energy industry – the opening of every potential energy basin across the desert Southwest and Northern Plains to try achieve the futile dream of “energy independence” in the wake of the Arab oil embargo. Coal, uranium, oil and gas, new power plants cropping up everywhere. It's hard to describe that era today – the West was such a different place – but suffice to say, the so-called “energy wars” of the '70s galvanized a great many into political action. MOJO: The implication for today being? SNOW: The results were quite astonishing. We were just a bunch of naïve, stripling environmentalists (men and women), but we managed to catch a huge wave of public concern, and we got a lot done in a very short period of time. Air and water quality protections, mined land reclamation standards, expansions of wilderness areas and other protected lands, regulatory acts that governed the siting of new energy facilities and the like – and perhaps the greatest overall accomplishment: new laws and rules that guaranteed public access to governmental decision-making. These were called “sunshine laws” for the new light they shed into formerly dark chambers. Those who read Northern Lights have fond memories of it. MOJO: Northern Lights was a catalyst for discussion of issues that are not so different from where the West finds itself today. SNOW: Northern Lights started out in the early ‘80s as an issues-focused organization, with the intentions of producing high-quality studies and policy papers on a range of issues selected by the board, to continue the work of progressive activism from a more academic platform, but in a short time we began to move in a very different direction. By the mid-80s, we realized that so many public policy issues in the arenas we cared about had essentially come to a complete halt. The environmental movement had by now gone mostly on the defense. It was the Reagan Era; the Empire struck back. The word in the air was “gridlock.” It’s an interesting word. Gridlock is a term applied to motor traffic – it’s the situation where everything just comes to a stop. No one can move, no one can go anywhere. Total political frustration. 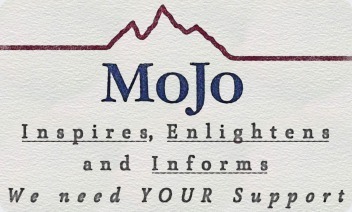 MOJO: What lessons can be learned from Northern Lights about the current state of political tribalism and the atmosphere in Washington, D.C. unfawningly called “the swamp”? SNOW: We at Northern Lights began to think about that problem of political stalemate. We began to wonder how and why it had occurred. That led us into a long saga in matters pertaining to political process. Not issues – not the content of the debate, but the ways in which the debate was being conducted, and whether there was any longer a bona fide debate at all. If my position is absolutely firm, and your opposite position is also absolutely firm, then there is no debate. There is simply a war to determine a winner and a loser. That’s now what Americans think politics is. But that model – a kind of Hobbesian war of all against all, played out in mostly the election arena – has little to do with politics in the classic sense, and it has nothing to do with governance. We don’t live in a political system in which pure ideology can govern. In the American system, hard ideology is anathema to governance. That’s why Congress is now stuck in its own traffic. 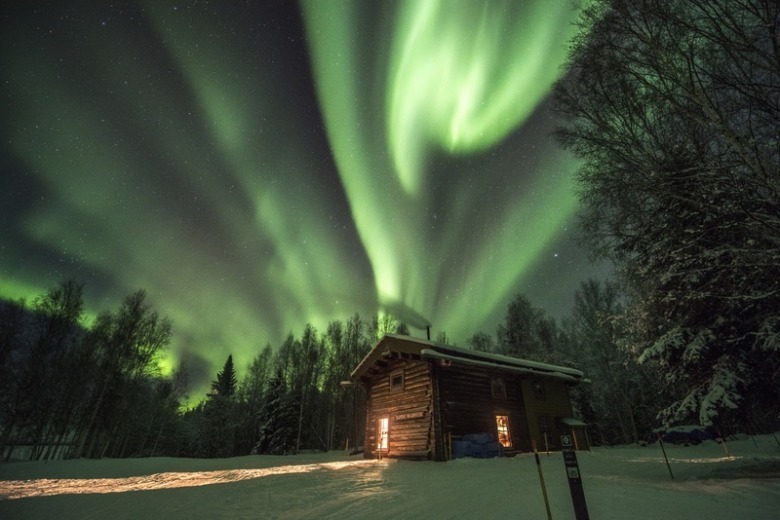 MOJO: What was Northern Lights hoping to foster? SNOW: A classical understanding of politics is what we were seeking to return to at Northern Lights: politics as the “art of the possible.” Politics as the means of decision-making in every shared space – with the qualities and values of that public space, that arena, foremost in mind. That idea of politics is not a crude, brutal game of winners and losers. It’s instead the great ideal of rational persuasion. It’s the oldest idea underlying democracy: yes, we can. . . reason together. The end of civility and the disrespect toward comity are merely symptoms of a larger problem: the gross misunderstanding of politics itself. There is reason why it’s called the “art of politics.” Real politics isan art, and like art, it has to take place in a shared space, which is open to all. Our political nest is by definition a public thing. Only fools would soil that nest. MOJO: Yet that’s happening, yes? SNOW: There’s an ancient Greek word I like to use from time to time: kakistocracy. It means government by the worst. We are living at present in a kakistocracy – at the national level, at least – but the work I did for 25 years at Northern Lights revealed a lot about cycles of power and politics, and I think we’ll see the end of national gridlock, though not real soon. Its precursor will be the arrival of a new generation of leaders who value civility. They probably won’t arrive at that merely by understanding “civics.” They’ll come to it instead from a steadfast disdain toward toxicity and hatred of the other. They’ll rise from the swamp and vow never to return us to it. 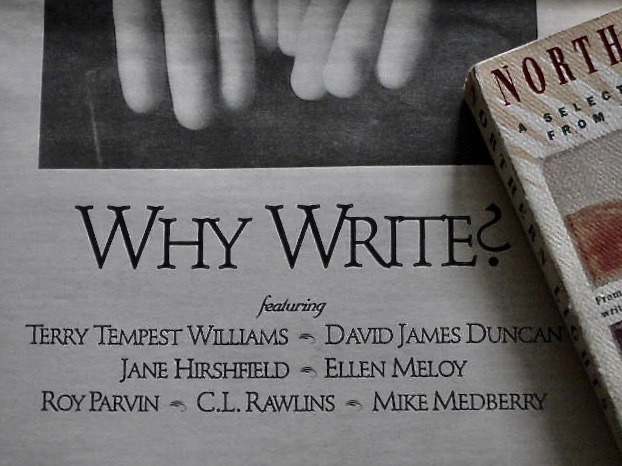 EDITOR'S NOTE: Read the first part of MoJo's interview with Snow: What Would Wallace Stegner Think? Next in part three, Snow assesses the effectiveness of the modern environmental movement, the challenges facing young people seeking meaning, and the failures of academia, dominated by urban, nature-detached faculty, in helping students understand why conservation matters.